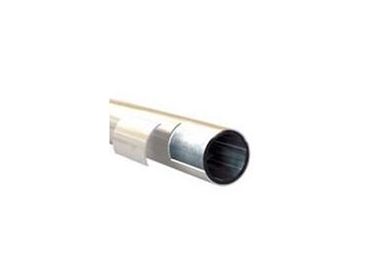 The outer diameter of LeanTek tubes is 28.6 mm. 2 wall thicknesses are offered: 1 mm for lightweight applications, and 2 mm for heavier applications. LeanTek Tubes are available in a wide range of standard colours. Since we manufacture our own tubes, we can supply them in any non-standard colour you wish. LeanTek tubes are galvanized inside and out before receiving their 0.8 mm thermoplastic coating in our own production plants. LeanTek tubes are available from Trilogiq Australia .